When you live in California, one of the most important appliances in your house is your air conditioning system. You rely heavily on the system throughout the year to provide a constant level of comfort for you and your family. It is hard to imagine living in California without access to AC, but you can find that it can happen to you quickly when something goes wrong with your system. Problems large and small can arise with your air conditioning that can cause havoc to your life and make things very uncomfortable for you. That is why you want to know that there is a Glendale air conditioning repair service like ours at American Clean Air and Heating that you can rely on to perform the fixes you may need. When you use our services to help maintain your AC system, you will take solid steps to help lengthen the life of your system. A central air system that is simply allowed to run year after year without proper maintenance and cleaning is heading down the road for big problems. Regular cleaning and maintenance help to keep your system functioning at its best all the time. The harder your system must work because of clogs from dirt and debris, the less efficient it will be and the more prone it will be to break down. You can add years to the life of your AC when you get it maintained each year. Like any appliance or machinery, there will be times where your AC may need some fine tuning or repair to work properly. 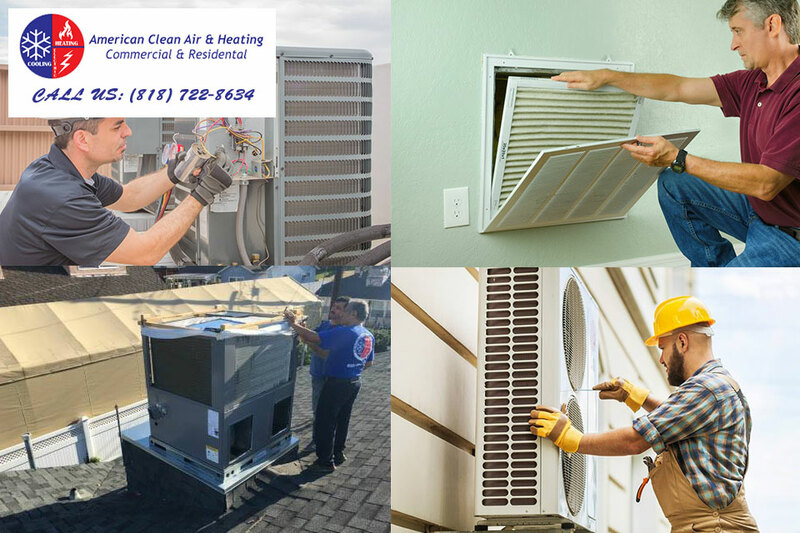 Calling us at American Clean Air and Heating to be your Glendale air conditioning repair service can provide you with the professional service you need to fix any problems your system may experience. We are a fully licensed and bonded service that can perform the repairs and troubleshooting you may need to get your system up and running well again quickly. 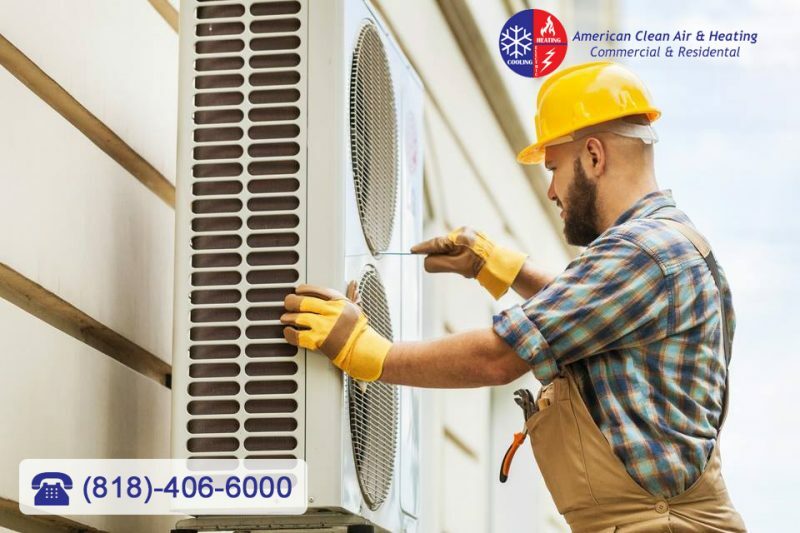 If your AC is acting up and you think you may need a Glendale air conditioning repair service to assist you, contact us at American Clean Air and Heating. You can phone our office at 818-406-6000 to schedule an appointment for a consultation, and we will send one of our expert technicians to you as soon as possible. We will provide you with a free estimate for any work you need and perform fast, reliable service to get your AC working right for you. It has been another long and tiring day at work and you are ready to just get home and relax. You spent enough time fighting the traffic and dealing with the hot, sticky and humid weather and you only want to be home to enjoy the cool air of your AC for the rest of the night. The only problem is that when you walk through the front door of your home you are not hit by the cool air you were hoping for; instead you feel nothing but warm, stale air all around you. A feeling of dread comes over you as you realize something has gone wrong with your AC system. In order to deal with this unexpected problem you want to know who to call for air condition repair in Glendale right away. Getting caught with your guard down in a situation like this can be a very helpless feeling. That is why it is always a good idea to know a service you can call ahead of time so you are ready if something like this should happen. If you have a central air conditioning system in your home, it is always a good idea to make sure it gets serviced once or twice a year so you can make sure it is cleaned properly, any filters get changed, any worn parts are replaced and any potential problem areas get caught right away. If you do this, you will already have the name of a service that you can call when a problem like this occurs. At a time like this you want to know that the company you call for air condition repair in Glendale is going to be responsive to you. Make sure that the service you use has a strong reputation not just of doing great work but of showing up on time and handling phone calls and inquiries with professionalism so that you know it is someone you can count on and trust. In the end, when you want the air condition repair you know you can rely on you want to call American Clean Air and Heating at 818-406-6000. 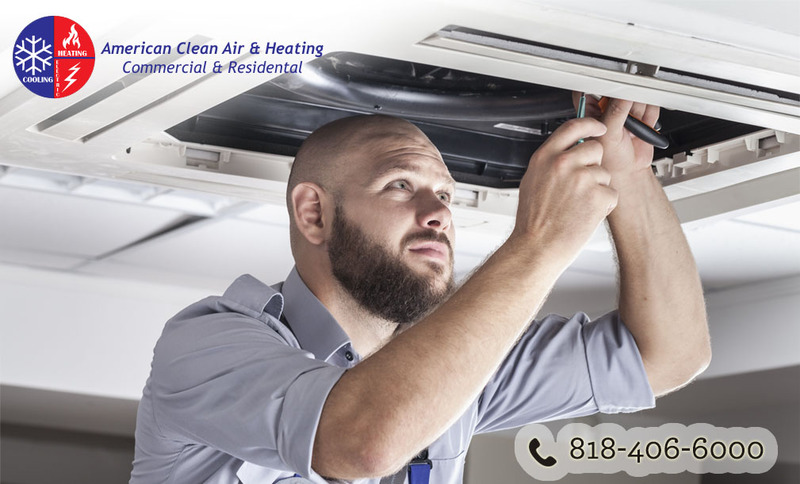 American Clean Air and Heating will provide you with expert service on your AC system so they can get everything up and running for you and maintain your system so you will not have to worry about the unexpected again. There it goes again. 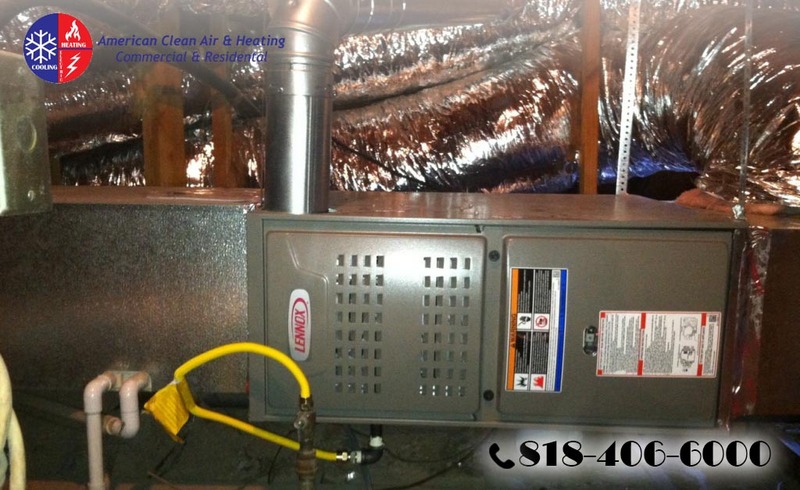 You can hear the noises coming from your air conditioning system every time it kicks in and lately it has seemed to take a bit longer to cool the rooms of your house like it has in the past. You have noticed the problem growing over the last few days and weeks but have still been reluctant to really do anything about it. You figure you will take a look at it on the weekend but the reality is you may not know enough about the system to tell what is wrong or to fix the problem. The longer you later go the worse it can be for you so you need to do something now. Getting air condition repair in Glendale is worth what it will cost you now to save you in the future. Many people are just like you and are afraid that having a repair service come in to look at their AC system is going to cost them a lot of money right off the bat. The truth is very often the repairs or maintenance that your system may need is minor and may not cost you much at all. It could just be a matter of getting the system cleaned properly or replacing a worn part to get everything up and running again the way it should. This can be a lot cheaper for you than if you were to let your system keep running inefficiently, which can cost you money in terms of your energy bill and can end up damaging the system further, meaning more expensive repairs or even having to replace the system in the future. When you hire air condition repair in Glendale you will get an expert technician to come out that is familiar with all kinds of cooling systems so that they can diagnose the problem and fix it for you. This is much better than you trying to do it yourself when you may not know enough about the systems, potentially causing more damage this way. 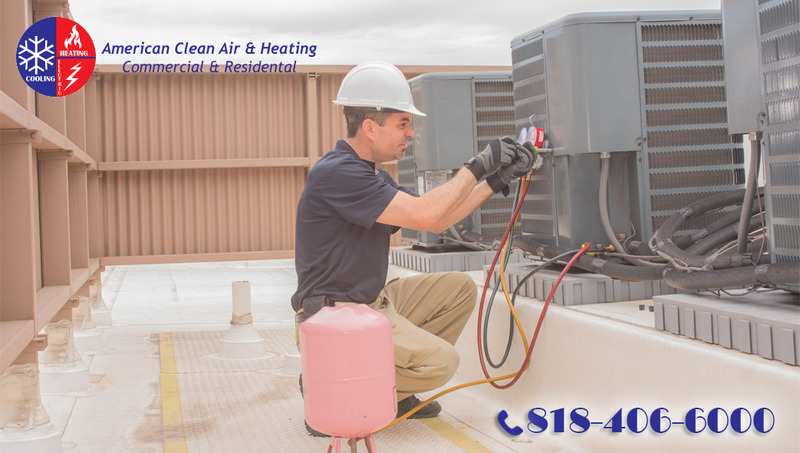 Getting air condition repair in Glendale makes the best sense and is worth the investment to you. Take the time to call American Clean Air & Heating at 818-406-6000 so you can make an appointment to get your system checked and fixed the right way.